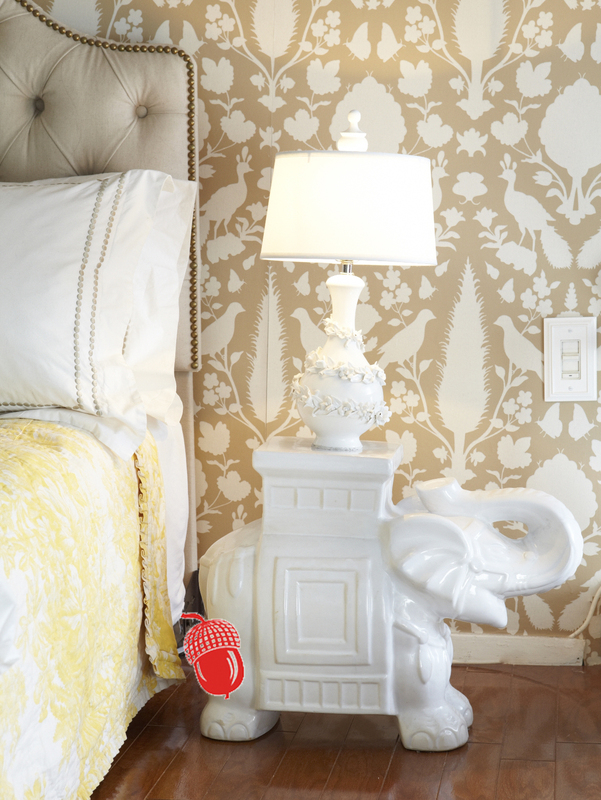 Mix and match nightstands add character to my friend’s petite bedroom. Using an elephant garden stool is unexpected and elegant. If you are NUTS FOR THIS, find it here.